Nitrocellulose is one of the best materials to use for low budget special effects, or just to have fun! This flash cotton can be used in many ways (as seen in step 4), and all of them are amazing to watch! 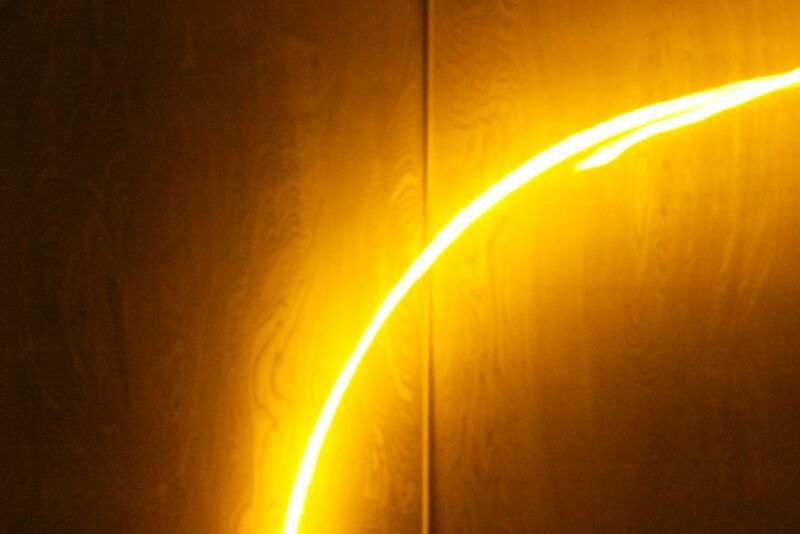 They also make for amazing light paintings! See the pictures in the last step for examples. This is part 2 of a 3 part project. See the last step for a hint of the next part! Warning: This instructable can be dangerous if the proper safety precautions are not followed. Please be aware that handling a strong acid, such as sulfuric acid, can cause significant harm. Also, the nitrocellulose should be used responsibly, not to intentionally harm another living being. Measurement: To measure the volume of a liquid, pour 50mL of water into a cup, and mark it with a permanent marker. Now you can simply pour out the water and fill up the cup to the line with the sulfuric acid. This method allows the use of kitchenware for the actual measurement. Using the method above (or a spare beaker if you have one), measure 50 mL of sulfuric acid. Next, use a scale to measure 35 grams of potassium nitrate. Then, measure 4g of cotton (it should be about 8 cotton balls) using your scale. Setup: To produce optimal results, the sulfuric acid/potassium nitrate bath should be chilled with salt and ice. 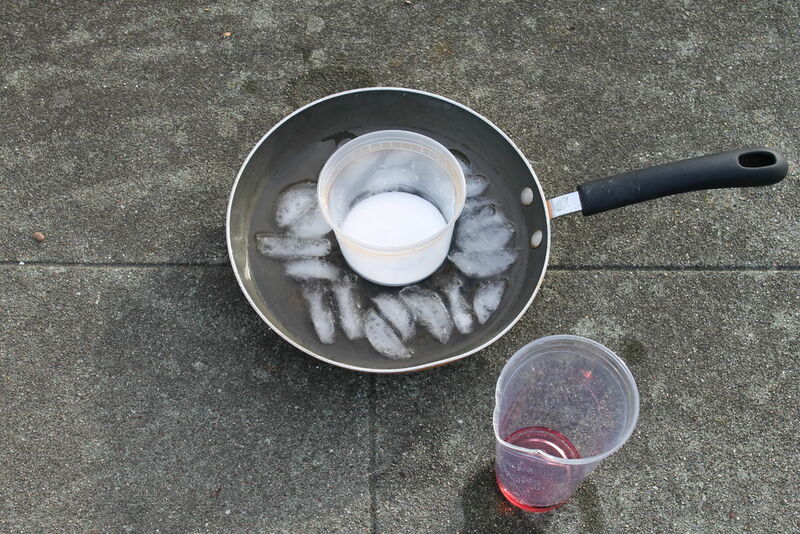 Fill your pan/container with ice, a bit of water and some normal table salt (NaCl). The salt cools the mixture down to below freezing and allows the ice to last longer. If the temperature outside is within a few degrees of freezing, the ice bath is not necessary. Also, prepare the cotton balls by pulling them apart and making them as fluffy as possible. This ensures the cotton will be evenly exposed to the mixture. Only a few of the uses for this amazing substance are listed here. Be creative and be safe! Pull apart the cotton until it is very fluffy. Then simply ignite it! For this demonstration, the nitrocellulose is pulled apart very well and searched for any clumps that could burn for longer. It is very important to be aware that this should not be done repetitively, for your skin will not like it. If done properly, you should feel a small amount of heat, but nothing more. This is the safer than holding it in your hand, but note that it has to be thrown right after it's lit. Don't forget to comment if you liked it! I use powdered sulfur, not liquid. how many grams of powdered sulfur is the same as liquid sulfur? if you mix nitrated cotton with ordinary cotton , would it burn both and still be as reactive? show us ! Thank you , I wonder if it creates enough heat ! to ignite the cotton. ! I see your looking for striker paper, I can help you sith that! Striker paper? Magic tricks galore! If they sell this in standard letter size, it would be cool to print on and mess with people. On a different note, It's been almost four years since I first commented on this. It's still pretty cool to get feedback! I have a striker company in Thailand , we have A4 sheets of P4 striker paper. , how many do you want, and where do you want it send to ? there self adhesive, backing. you cut them up according to your own size. we put them in a straw, used in our annual black powder rockets . vai vai ! to light them . thermalrelease@gmail.com our company is also for sale . let me know? 99% P4 red Phosphorus . is extra sensitive to a ordinary match. Just one question: Do I have to use potassium nitrate, or will other nitrates such as magnesium nitrate or calcium nitrate work too? I live in Germany where potassium nitrate isn't available. It works out chemically and it's a similar reaction, so I'd say go for it! Ok, I'll try it. If I get any positive results I'm going to post them here. It doesn't hurt at all! To get it to not hurt, be sure to pull it apart so it's very fluffy and it should work work perfectly! Flashboy .... you are a charmer...i saw your intrbls on flash using chemistry as well as electronics...an artist you are thumbs up!! I had a problem after I put the cotton in the mixture. I let it sit for an hour but there was no cotton. It was just a cloudy pink liquid. Hmmm... I'd say add more cotton or take out the cotton earlier. Also, the reaction might not be cold enough, which might explain the cotton disappearing. Let me know if that works!